This Agency Endowment Fund (DAF) was started in December of 2016 by RHMA. The purpose of this fund is to help facilitate the spiritual and professional growth of RHMA's staff of church planters, pastors, and leadership team. This will be done through grants disbursed by RHMA’s Board of Directors in response to requests for such things as further education (post high school), seminars, conferences, retreats, and sabbaticals. During his long and fruitful life, Harold served as a church planter, field director, mission director, Bible college president, pastor, professor, and minister-at-large. 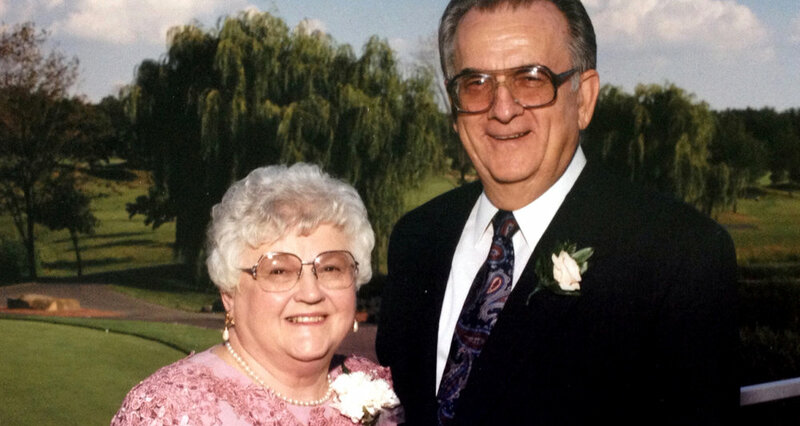 Harold and Esther Longenecker were both originally from Lancaster, Pennsylvania. Harold and Esther first served as RHMA church planters in Alabama for a few years in the 1950s. Soon their giftedness was evident to all, and they were asked to move to Morton, Illinois, to serve as the General Director of RHMA. One of the reasons Harold was so used of God at RHMA is because of Esther. She kept things going smoothly at home, often with Harold on the road. She uncomplaining enduring many inconveniences. She often accompanied Harold in his extensive travels. She was a gracious hostess to countless hundreds of guests. Harold said, "She stood shoulder to shoulder with me all the way." Harold was RHMA's second Director, following RHMA's founder, C.J. Rediger. He greatly impacted RHMA on an organizational level, providing leadership at a critical time in its development as a mission. The mission and its impact grew considerably under his leadership. He served as Director from 1958-1966. In 1993, Harold returned to the RHMA home office, 26 years after he left the Director position. He served as Minister-at-Large for the next 15 years. "Just as it was common in the ancient East to yoke a younger, 'green' ox with an older, more experienced ox, so that the younger would be tamed and trained, so Harold many years ago walked alongside me when I was a novice Director, guiding, calming, and showing me the way. I am forever indebted to him," said Ron Klassen, Executive Director, RHMA. Longenecker Family in Morton during Harold's tenure as Director. For a number of years, it was the RHMA Board and home office staff's desire to find a way to come alongside and assist RHMA missionaries who wanted to grow spiritually and professionally. They realized that many times their desire to pursue growth was stymied by lack of funds. At the same time, leaders at RHMA had a desire to find an enduring way to honor Harold Longenecker, who invested a major portion of his life to the work of RHMA. As the leaders at RHMA thought about how they might honor Harold, their discussion honed in on Harold's lifelong passion for spiritual and professional growth. He had been passionate about his own growth. It was no accident that Harold's most effective years of ministry were likely when he was in his 70s. This would not have happened had he not been intentional about his own personal growth. Beyond this, Harold's foremost ministry passion was nurturing the growth of others in Christian service. He poured himself into others. He wrote a book about this passion, titled Growing Leaders By Design: How to Use Biblical Principles for Leadership Development. The Board launched The Longenecker Fund in 2003 to help facilitate the spiritual and professional growth of RHMA missionaries. This has been done through the years through grant distributions for such things as: further education, seminars, conferences, retreats, and sabbaticals.